The original food garden in Cape Town is, of course, the Company’s Garden that runs down from Orange Street to Wale Street in the Cape Town city centre. 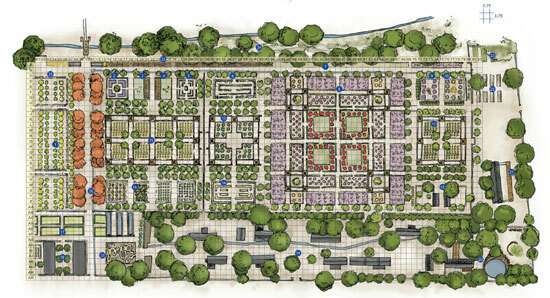 Our garden layout here at Babylonstoren carries the influence of this historic garden, as can be seen by comparing this sketch of the Company’s Gardens from 1791, and the layout of our gardens. Read more about the history of the Company’s Gardens in this article that appeared on the 14th January in Die Beeld and Die Burger newspapers, and find out more about the concept, design and purpose of the Babylonstoren Garden here.